314m Par 4 - A drive to the left hand side of the fairway opens the green for a short iron . 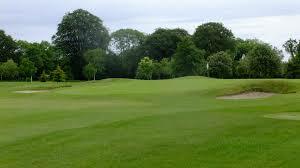 166m Par 3 - The trees guarding the green should not cause a problem for a well struck medium iron or rescue club. 99m Par 3 - This is a pitching wedge to a postage stamp green. A simple par or a very big number ! 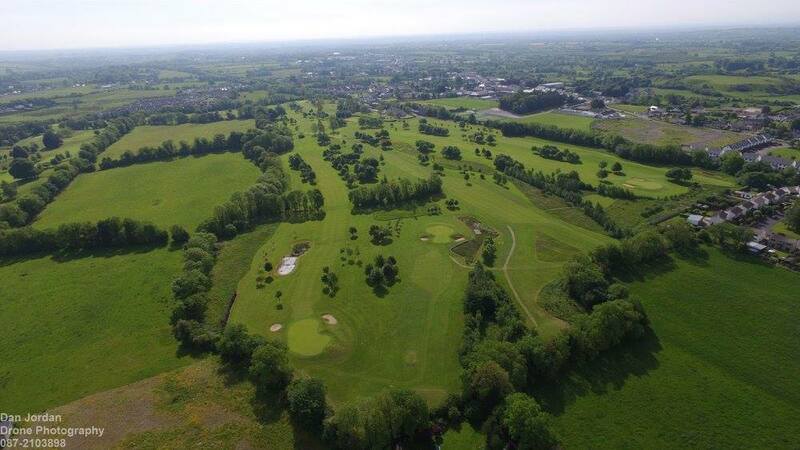 406m Par 4 - Rated as Index 1, a long drive can be followed by another fairway wood, depending on weather conditions. 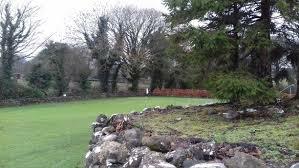 362m Par 4 - The Bull Ring, where the green is guarded on the right by a fairy fort (and on the left by out of bounds!). 349m Par 4 - Plays longer than it seems (uphill!) with a temptation to play to the left to avoid the right hand ditch. 332m Par 4 - Downhill all the way - probably best to find the right hand fairway. 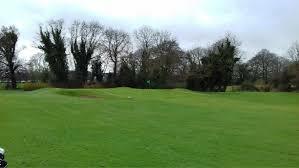 254m Par 4 - Rated Index 17 - a blind drive to a green which slopes away from the approach shot. 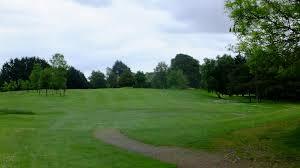 320m Par 4 - A relatively benign start to the back nine - centre of the fairway offers a birdey chance. 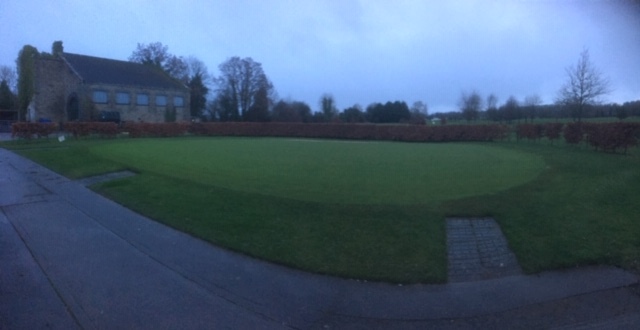 384m Par 4 - A good test of driving, followed by a medium iron to a green guarded by a bunker on the right. 326m Par 4 - A tight driving hole with no margin for error on the right hand side. 308m Par 4 - A short hole - the last one before the first of the Par 5's. 460m Par 5 - First of the Par 5's. Beware of the lake on the right hand side with your second shot. 171m Par 3 - You need to be long enough to clear the bunkers and straight enough to avoid the lake. 476m Par 5 - Do not get involved with the lake or left hand ditch - otherwise a straightforward Par 5. 389m Par 4 - If the wind is blowing from the south it requires two good shots to reach the green. 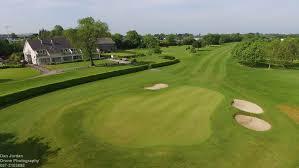 491m Par 5 - If you need a par this could be it - don't forget to sample the Clubhouse hospitality!